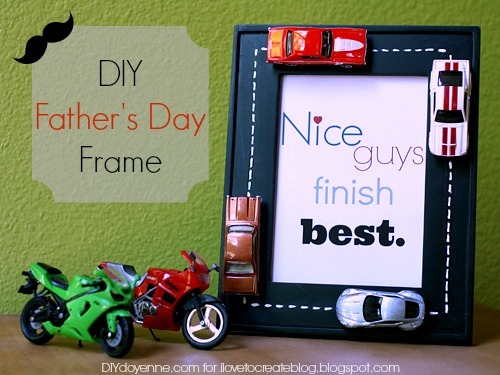 Here's a DIY Father's Day Frame you can make in a flash to show Dad just how much you love him. I got the frame and vintage edition Hot Wheels toy cars at our local Dollar General for $8.50. Just make the frame, print the graphic, cut to fit and place in frame. An awesome reminder that in the race of life, the one who finishes with the most toys love wins. 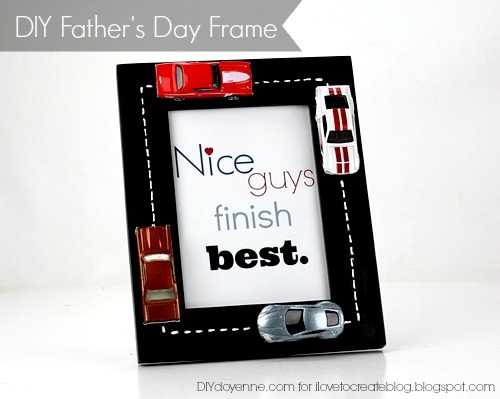 Aleene's 7800 adhesive and Tulip dimensional paint make it easy to make this race car themed frame. 1. Measure center points of frame from edges, mark. Mark around frame with pencil, this doesn't have to be perfectly perfect, but try to keep the spacing somewhat even. 2. Use a heavy duty pair of scissors to cut small segments of cardboards to fit underneath cars. These will help you glue them down without having to worry about the wheels moving around! 3. 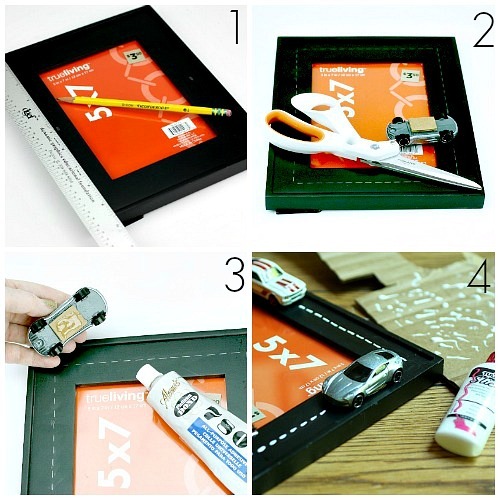 Glue cardboard underneath cards and glue cars to frame. Each car is one dash from edge, creating the illusion of movement. 4. Use Tulip Slick Paint to go over the pencil marks. Allow glue and paint to dry! Print graphic sized to fit a 5"x7" frame. Cut to fit and insert into frame, you can secure it with a little Aleene's Spray Adhesive to keep it from slipping. Fun, fast, fabulous and just in time for Father's Day! What are you making for Dad this year? Need ideas? 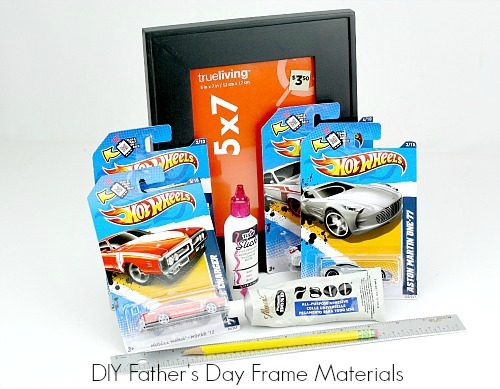 We've got lots of great DIY's for Dad on our website. Don't forget to like the iLoveToCreate.com Facebook Page for more creative inspiration and visit me at DIY Doyenne for Fashion and Style! Great idea! I'm thinking of what I could make for my video-phile hubby. A film strip maybe with mini cameras and one of those slap board thingies they start filming scenes with. 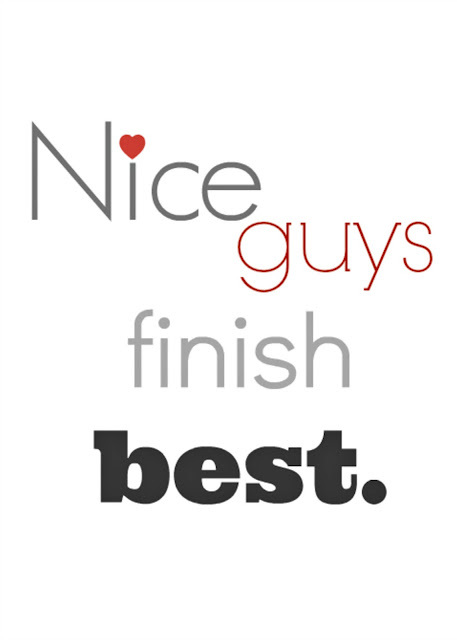 "Nice guys make the cut." Too cute! I will be making these with my kids. Awesome! My husband would love this, he talks about how he used to play with hot wheels all the time when he was little. My dad used to race cars, I think this is an awesome idea, I think I will get a picture of him getting a trophy from my stepmom and put in this! !